Lorraine of Super Sarap is the host of this month’s Lasang Pinoy event, Crockpot Cooking. What I wanted to try cooking in a crockpot is Humba which I have seen recipes of in several food blogs. Specifically, from The Pilgrim’s Pots and Pans. However, when it came time to cook and I started looking in the pantry for ingredients, I found myself pulling ingredients that were totally unrelated to what I had intended to cook! Well, not totally unrelated. I think what I came up with has a different flavor but the intent could be considered similar to humba. This is an adaptation of Karen’s Humba recipe. Place all the ingredients in a slow cooker or Crockpot and cook on high for 4 hours. If you are going to be gone all day, put it on medium setting and cook for 8 hours. By the time you get home, just dish some up on top of a mound of rice and enjoy! Because the tomato chutney is sweet, spicy and tangy, that is just the taste that you get with this braised dish. The sauce gets reduced, the flavors concentrate and blend with the other ingredients, and you end up with something utterly delicious without slaving in the kitchen all day! Thanks to Lorraine of Super Sarap for hosting this round of Lasang Pinoy. Hi JMom! I’ve never had Humba this way. 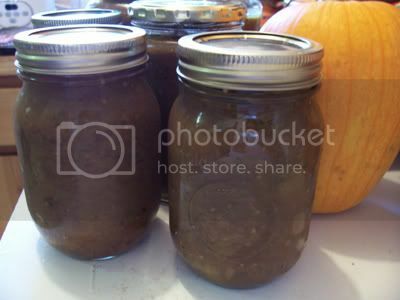 And that Green Tomato Chutney sounds so interesting – seems that everyone thinks so. The Humba I grew up with has Banana Blossoms in it. So when I saw Humba, wow, that brought up so many memories. 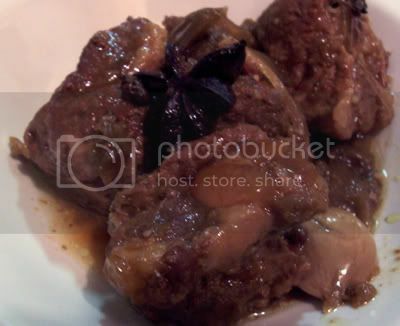 I’ve included your Humba post in http://www.foodbloggers.net/ please vote on it so it gets included in the front page. Anyone can sign up and add an entry to be voted on. Oh my, this looks so delicious! I think i’m going to make this for supper tomorrow night. mmm yum. hi ut-man, thanks 🙂 coming from you, that’s a great compliment. Thanks for visiting. Judging from the photo, your ingredients and cooking method I agree, it must be delicious. Great cooking innovation..